Now rebranded as Hapsburg - XC Original. The traditional choice but not for the faint hearted. 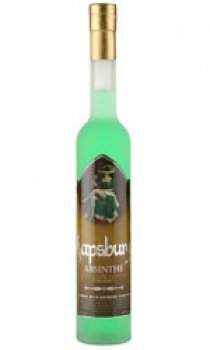 Hapsburg Absinthe lets you party on the wild side with a hint of mystery. Strong flavours and the classic distinctive herbal nose. Hapsburg Absinthe can be drunk mixed will iced water, or blended as a cocktail with a myriad of mixers and fruit juices. It's great over crushed ice with a sprig of mint and mixed with fresh apple & blackcurrant juice. Low quality absinthe lacking infusion, concealed by exaggerated alcohol percentage. A strong and tasteful drink to be treated with full respect!